This is something that is important in all aspects of not only your pet’s life, but yours, your friends, family and public. But why? And what do I mean? 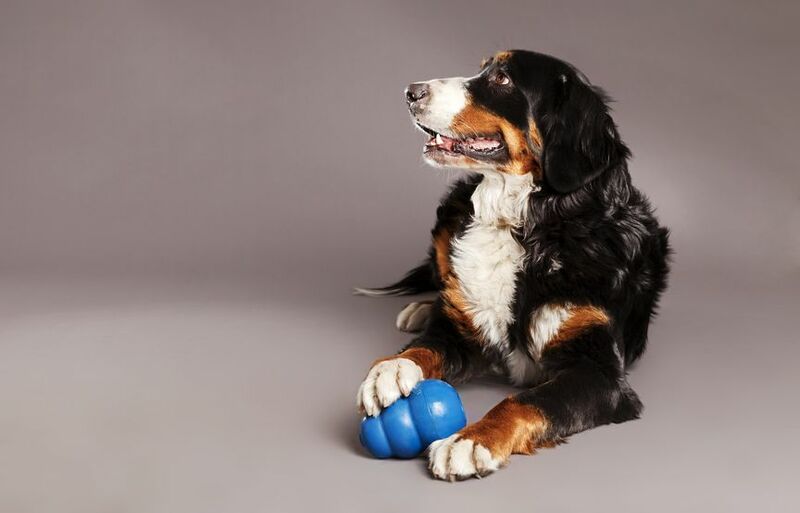 Well in the dog training world we talk a lot about setting our learners up for success – mostly we mean the dogs, but really it should mean everyone. We need to ensure you and your dog have the skills before throwing you in the deep end, kind of like teaching kids to swim before expecting them to compete in a swimming carnival. Setting up for success, reduces frustration and fear felt by you and your pet. It creates a bond and builds trust in each other. It empowers your learner to succeed and is something that can be adapted for everything, every learner and every need. As your learner gains the skills, increase the difficult and what is expected. So what does this cover? Everything, and I mean EVERYTHING in your life and your learner’s life will be easier, if you break it down into small achievable goals. Teach your pet that it can be comfortable without you being present. Why? Prevent Separation Anxiety. Separation Anxiety can be a highly stressful condition to manage for both you and your pet, so setting them up to be ok with separation from day dot will make this all the better. How? Start by building up station/mat training, and using a barrier to prevent you pet following you etc. However, stay with them, and reward for calm, or give them an enrichment item to use. 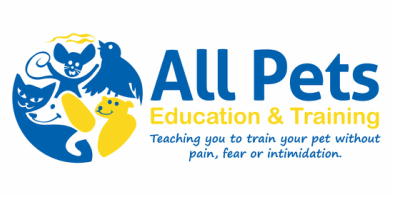 More information on this can be found at http://www.allpetseducationandtraining.com.au/alone-time-is-good.html. Reading body language is incredibly empowering and adds a measure of safety to the animals around you and the humans. If you can read what your animal is feeling, you can safely remove yourself from dangerous situation, or more importantly remove them from dangerous situations. Teach children to read body language from when they are toddlers – they learn and they learn fast if you teach them well. Ensure you learn species specific body language – cats, dogs, horses, birds etc all have very clear body language that is species specific. A tail that is wagging level with the backline and side to side have VERY different meaning in a cat and a dog! Brush up on your body language skills here. 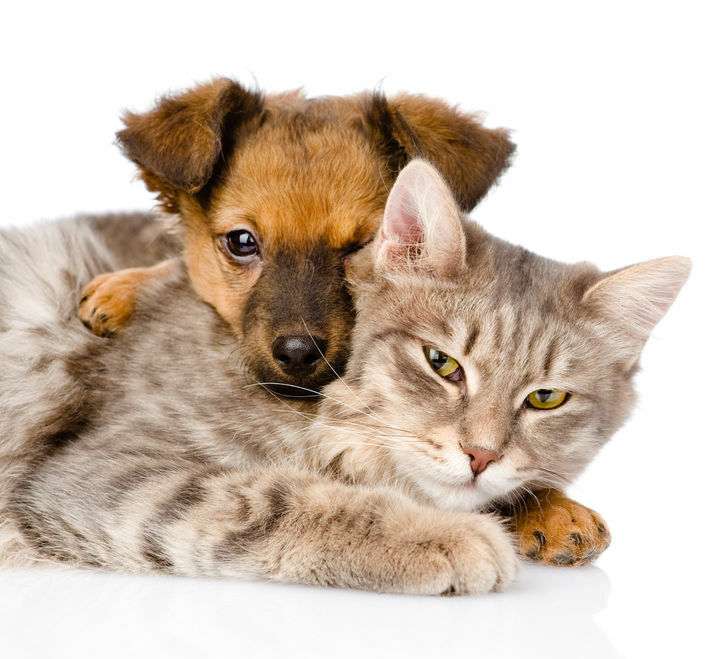 Does your elderly cat/dog, really need to have a puppy? Use enrichment for your pets – it helps to keep their brains active, and also prevents behaviours associated with boredom such as escaping, vocalisation, destruction, self-mutilation (chewing, tail chasing and feather plucking). However, ensure that all enrichment items are introduced in a way that your learner can succeed. This may mean making things very simple to start with, and gradually increasing the difficulty as the learner improves. Introducing something that is too hard too soon, will just increase frustration and stress felt by your learner – imagine being introduced to algebra before you could count to 10. A great place to start with enrichment toys and living in Brisbane is a visit to Chew Chomp and Chill – you can take your pet with you and Kay and other staff can help work out what is best for your individual pet. So many animals develop noise phobias. 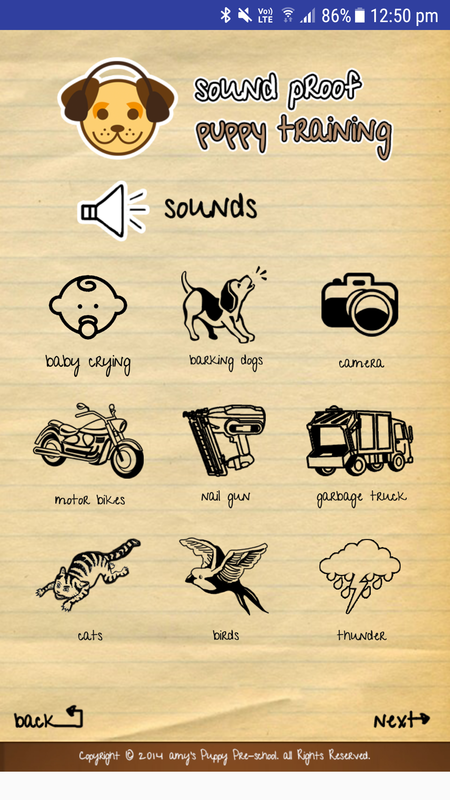 So, one thing I recommend everyone do is download the Sound Proof Puppy app (no matter if you animal is a dog, cat, bird, juvenile or adult), and start conditioning using a low level volume and favoured task (enrichment, grooming, play, chewing) etc. This can help prevent and reduce storm phobias, firework fear etc. Okay, this is a big one. How you train and what you train makes a big difference to both the lives of you and your pet. What are their qualifications? Do they have proof of this? Do they have an ethos that matches yours? How do they train? Is it reward based? Do they make a conscious effort to avoid aversive equipment (shock/spray collars, check chains, head halters used incorrectly etc), and avoid creating or exacerbating fear or frustration? Will they adapt and change their plans if your pet does not respond as expected within a reasonable time frame? What feedback or support can you expect after classes/private training? Will they refer to someone with more experience or veterinary qualifications in behaviour if they feel it is recommended? Start with minimal distractions and small duration and slowly increase these over time. Have a backup plan if things aren’t going as expected, finish on something your learner can do and while they are having fun. All animals will need some form of grooming at some point. It could be a simple nail trim, or brush, or could be more advanced and require hair/fur/feather clipping etc. All animals should have vet visits at least annually to monitor health. Teach your learner to be comfortable with restraint, handling etc, from the day you get them, by making everything a pleasurable experience and breaking into small achievable pieces. This is pretty obvious, but having a cat that is litter trained and a dog that is house trained makes life a lot more pleasurable for you. It also means that they aren’t restricted from spending indoor time with you. Perhaps most importantly it minimises hygiene risks and zoonotic diseases. Start immediately and break it down into small achievable goals. This may mean that you need to actively engage with your pet to take them to the toilet very very frequently at the start and have several nights of broken sleep. However doing the hard yards for a month or two, will make a life long difference for your pet. Always rule out medical causes with a trip to your veterinarian if your pet is not responding as expected. 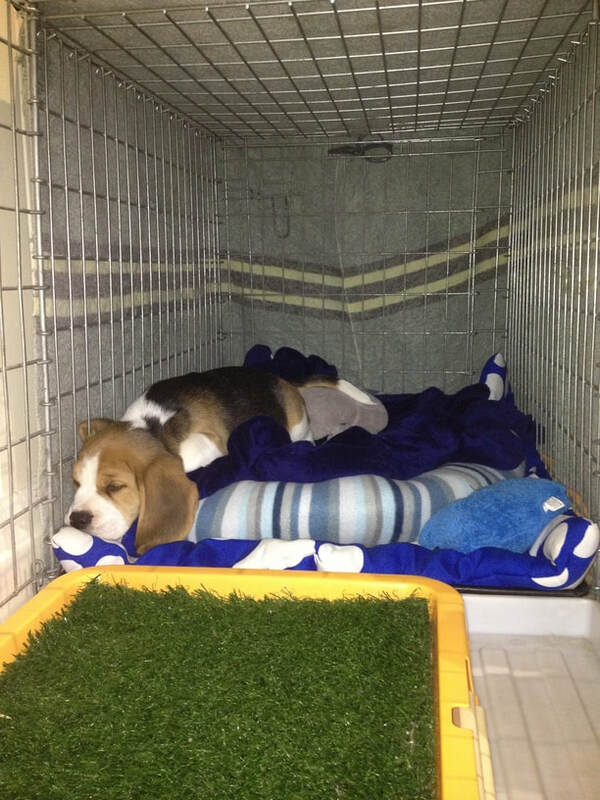 Teaching an animal to be comfortable confined in a pen, crate or cage, can help is so many ways. It sets them up to succeed by being in the right place, without access to inappropriate areas to toilet or objects to chew. Vet clinic stays and boarding kennels are less frightening when your pet is already comfortable with confinement. This is perhaps the most important. Rewarding your animal for calm behaviours, will result in an animal that is overall calmer and more in control of their own actions. Remember in any situation, ask yourself the following. Have I set myself up for success? Have I set my learner up for success? How can I manage the situation to avoid the undesirable behaviours, and encourage the desirable behaviour? What is an alternate behaviour I could redirect to or teach? What will I do if my plan doesn’t work as I expect? How can I make sure we finish on a good note? You will find the more effort you put in, the more you will gain. This includes a reduction in stress and frustration for everyone, and a greater bond between you and your learner.